Karim H. Karim, Ph.D., is a Full Professor at Carleton University’s School of Journalism and Communication, of which he was previously the Director (2006-2009). He is currently the Director of the Carleton Centre for the Study of Islam. Karim also served as a Director of the Institute of Ismaili Studies in London, UK (2009-2011) and was a Visiting Scholar at Harvard University in 2004. He is a member of the boards of the Canadian Journal of Communication and Global Media Journal – Canadian Edition. Professor Karim has served in advisory capacities on the establishment of the Aga Khan University’s Graduate School of Media and Communications, Nairobi, Kenya and of an undergraduate major on Communication and Media at the University of Central Asia. He is an Associate of Migration and Diaspora Studies and the Centre for European Studies at Carleton University, and is also cross-appointed to Carleton’s Journalism program and Institute of Comparative Studies in Literature, Art, and Culture. Before joining academia, Dr. Karim worked as Senior Researcher and as Senior Policy Analyst in the Department of Canadian Heritage. He was Chairperson of the Federal Digitization Task Force’s Working Group on the Accessibility to Digitized Collections and an elected Chairperson of Canadian Heritage’s Committee on Equal Access and Participation. Prior to his work in the Government of Canada, he reported on Canada for Compass New Features (Luxembourg) and for Inter Press Service (Rome). Karim continues to participate in government consultations in Canada and the United States and occasionally to write for the press; he is also frequently interviewed by the media in Canada and internationally. He holds degrees in Islamic Studies and Communication Studies from Columbia and McGill Universities. 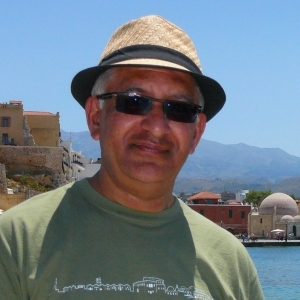 Professor Karim has lectured at various universities in North America, Europe, and Asia. He has been the keynote speaker at the 2016 Simon Fraser University / Aga Khan University International Summer Program on the Expressions of Muslim Diversity in Vancouver; the 2015 International Ginan Conference, London, UK; the 2013 conference “A World in Flux: The Movement of Conflict in the 21st Century” at the University of Toronto’s Munk Centre for Global Affairs; the 2011 Summer School of the United Nations Alliance of Civilizations, Lisbon, Portugal; the 2007 Laurier Institute / University of British Columbia Multiculturalism Lecture (broadcast on CBC Radio One program, IDEAS); the 2006 Public Broadcasters Global Media Summit on Multiculturalism, Taipei, Taiwan in 2006; the 2003 Dallas Smythe Lecture at Simon Fraser University; and the 2002 Distinguished Lecture of the Joint Doctoral Program in Communication of Concordia University, the University of Montreal and the University of Quebec. Consider ordering these volumes for your institutional libraries. Engaging the Other: Public Policy and Western-Muslim Intersections. New York: Palgrave Macmillan, 2014.